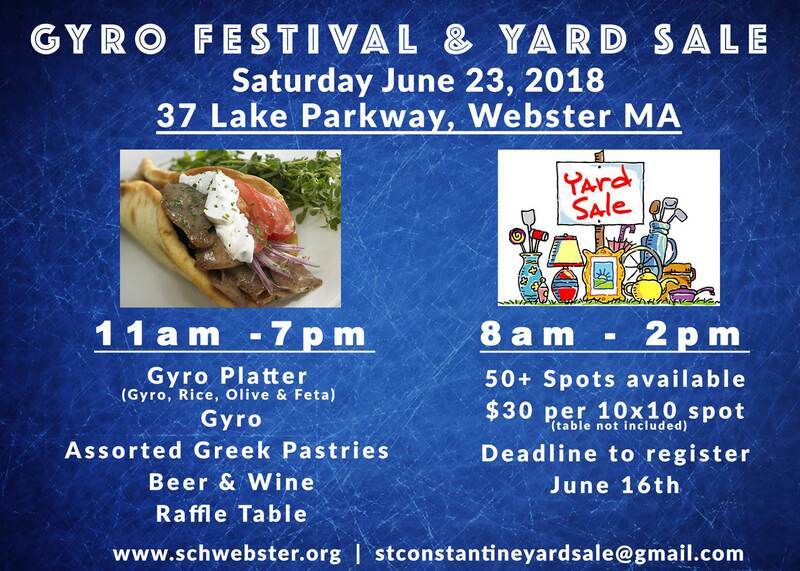 Come by and taste authentic Greek Foods including yummy gyros and pastries. While eating browse the 50+ spaces of yard sale treasures. Register now for a space to sell or buy tickets for the meals! !